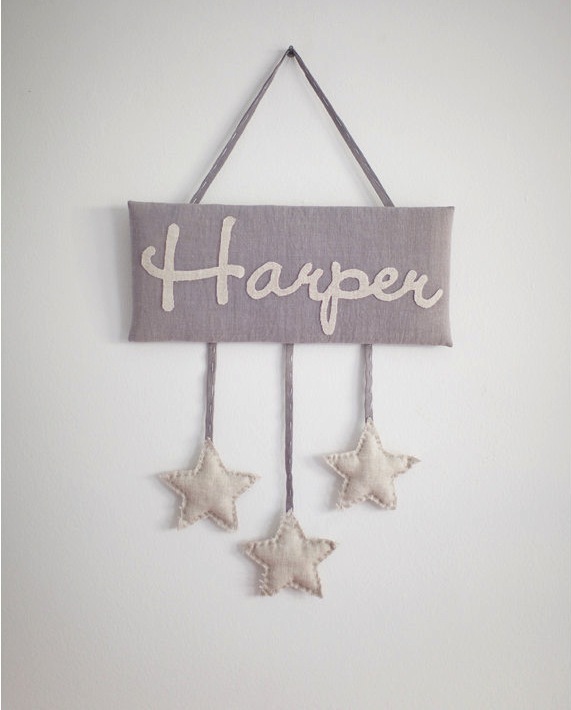 I'm completely smitten with this custom name sign from knock knock custom signs on Etsy. I'm incredibly into stars right now, so this caught my eye right away. It's hand-stitched using linen and gold thread, and the hand lettering is divine! It's definitely on the pricey side, but what lovely inspiration.